Neil Diamond has had an almost continuous presence on the various Billboard charts since 1965. Possessed of an excellent voice that covers the entire tenor-baritone continuum, Neil has been a titan of the pop and adult contemporary charts with some scattered play on jazz, R&B and country stations along the way. Neil Diamond started out as a songwriter, part of the legendary ‘Brill Building’ cadre of songwriters. Success for Neil came slowly until November 1965, when “Sunday and Me,” became a #18 hit for Jay and The Americans. Shortly thereafter the producers for the pre-fab four (a/k/a the Monkees) took interest in Neil’s music, recording several of his tunes including “I’m a Believer,” “A Little Bit Me, a Little Bit You,” “Look Out (Here Comes Tomorrow)” and “Love to Love “. The radio and television exposure generated by the Monkees did wonders for Neil’s checkbook. “I’m A Believer” spent seven weeks at #1 and sold over 10 million copies for the Monkees. Neil’s own hits started soon thereafter, with “Solitary Man” becoming a modest success in 1966 (but a top ten record in several regional markets. The next single “Cherry, Cherry” sealed the deal reaching #6 on the pop charts. While not every subsequent single would become a top ten record, for the next twenty five years nearly every single charted on one of Billboard’s charts, and many charted globally. He ranks behind only Sir Elton John and Barbra Streisand on the Billboard Adult Contemporary charts. The first Neil Diamond single I can recall hearing was “Kentucky Woman”, a #22 pop hit in 1967. At the time I heard the song, I thought it was a country song, and that Neil should be performing country music. Indeed, Neil’s record received some airplay on WCMS-AM and WTID-AM in Norfolk, VA and it wasn’t long before some of his songs were being covered on country albums. Waylon Jennings had a great terrific version of “Kentucky Woman” on his Only The Greatest album area, Roy Drusky had a top twenty county hit in 1972 with “Red Red Wine”, and T.G. 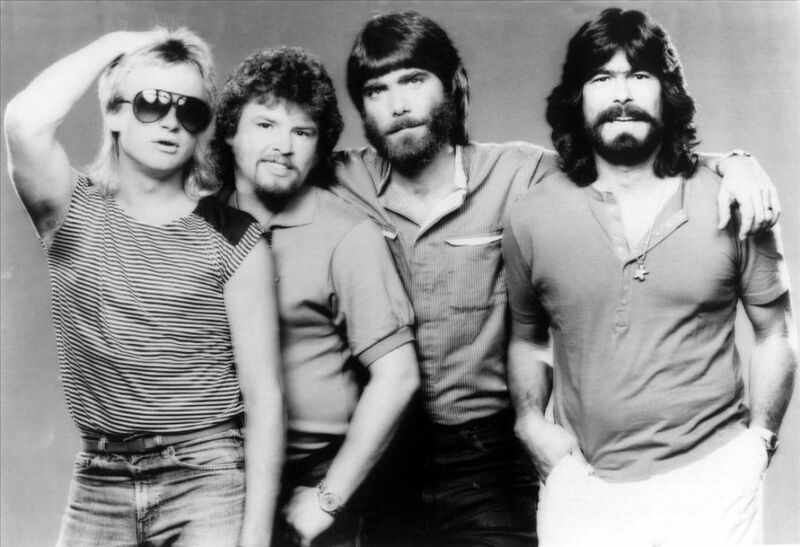 Sheppard had a top 15 country hit in 1976 with “Solitary Man”. “I’m A Believer” showed up as an album track on many country albums. In 1978-1979 Neil had a pair of songs chart in the lower reaches of the country charts in “You Don’t Bring Me Flowers” (billed as Neil & Barbra) and “Forever In Blue Jeans”. “You Don’t Bring Me Flowers” was , of course, a huge pop hit but Jim Ed Brown & Helen Cornelius covered it in the country market for a #1 record. In 1996 Neil targeted the album Tennessee Moon at the country market and it reached #3 on the Billboard Country albums chart, although it generated no hit singles for the fifty-five year old Diamond. The album featured duets with Raul Malo , Hal Ketcham and Waylon Jennings. This would be the only time that Neil Diamond would target an album at the country music market, although many of his albums featured songs that would fit easily into the county format at the time the album was recorded. Neil is still alive and recording, his most recent album being the 2014 release Melody Road. His website does not show any current tour dates, but he has not announced his retirement from touring, and he toured in 2015 so I presume he will be back touring shortly. I am not sure why this should be true, but the 1960s produced an enormous number of silky-smooth male vocalists. Perhaps it was due to the crossover success of artists such as Eddy Arnold and Jim Reeves. More likely it was the result of the Rock ‘n Roll revolution of the mid-50s wiping out the radio market for classic pop, so that artists who would have aspired to become the next Eddy Howard, Johnny Ray, Julius LaRosa or Frank Sinatra, found themselves looking toward a Nashville that was attempting to broaden its appeal by co-opting the easy listening market. The end result often was some of the blandest music Nashville ever produced – no fiddle, no steel, pleasant but unmemorable voices and songs played at slow to medium-slow tempos. Most of these pleasant male voices made an album or two and faded from sight. This, not Hank and Lefty and ET, was the music that fueled the outlaw revolt of the mid-1970s. Still, there were a few of the pleasant crooners who had something to distinguish themselves from the crowd – a little grit in their voice, some soul in their musical interpretations and something that set their voice apart from the crowd. Roy Drusky — the country Perry Como — was one of those few. A true southerner, Drusky was born on June 22, 1930, in Atlanta, GA. His mother, a church organist, attempted to interest her son in music but like most boys of his era, Drusky’s first love was baseball. It wasn’t until he enlisted in the US Navy in the late 1940s that he shifted his focus to music, although even after leaving the Navy, he first tried out for the Cleveland Indians. 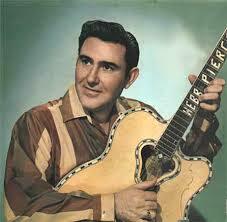 In 1951, he put together a country band, the Southern Ranch Boys, who played in the Decatur, GA area. In Decatur, Drusky landed a job as a disc jockey. He continued to perform in local clubs after his band broke up, and on the strength of a 1953 Starday single, “Such a Fool,” he was signed to Columbia Records in 1955. Several singles were issued for Columbia, but now album until 1965 when an album, The Great Roy Drusky Sings, was released on the budget Harmony label. This album is of interest mostly to fans and collectors of Roy Drusky recordings. From Georgia, Roy moved to Minneapolis to continue his work in radio. Shortly after arriving, Drusky began headlining at the Flame Club, where he was able to showcase his talent as a singer and a songwriter. His songs came to the attention of Faron Young, who recorded two of Roy’s songs: “Alone With You,” released in 1958, was Young’s biggest Billboard chart hit spending 13 weeks at #1 (oddly, it only reached #2 on Cash Box’s country chart), and “Country Girl,” released in 1959, which also reached #1. In 1961, Drusky released the double-sided hit “I’d Rather Loan You Out” (#10)/”Three Hearts in a Tangle (#2)” and also issued his first LP, Anymore With Roy Drusky. The next year, he reached the Top 10 again with “Second Hand Rose” (#3), and after a 1963 switch to Mercury records, the amusing “Peel Me A Nanner” (#10). Drusky continued to chart records, finally achieving that elusive #1 in 1965 with the “Yes, Mr. Peters,” a duet with Priscilla Mitchell (aka Mrs. Jerry Reed). Interestingly enough, in 1965, Roy’s version of the Liz Anderson-penned “Strangers” outperformed Merle Haggard’s version of the same song. Both versions reached the Top 10 (Roy’s reached #6, Hag’s reached #7), even though the song seems tailor-made for Haggard. Roy Drusky appeared in his first film, White Lightnin’ Express, in 1965 and also sang the feature’s title song. He later appeared in two other films: The Golden Guitar and Forty Acre Feud. Roy also served as a producer for several acts, most notably Brenda Byers. His recording success faded after 1965. Although he released 11 chart hits between 1966 and 1969, only two (“Where the Blue and Lonely Go” and “Such a Fool”) reached the Top 10. In 1970, he had a brief renaissance with “Long, Long Texas Road” (#5 Billboard/#3 Cash Box /#1 Record World) and “All My Hard Times” (#9). In 1971 he made his last trip to the Top 20 with a cover of Neil Diamond’s “Red, Red, Wine,” which reached #17. After that it was all downhill. Drusky’s last Mercury album was released in 1973, followed by a pair of albums on Capitol in 1974 and ’75. After that period he recorded for smaller labels, including a stint on Plantation, where he re-recorded his biggest hits. In all, he had 42 charted singles on Billboard’s country charts. He continued to perform and record, increasingly turning to gospel music in his later years. He also appeared on various country reunion projects. Roy Drusky passed away September 23, 2004 at the age of 74. Roy Drusky was never a major star so his output was not quite as prolific as some performers of his generation. He released 18 albums on Mercury (plus 3 hit collections). On Decca there were two albums released, and on Capitol, two more for a total of 22 major label albums. There are also a number of off-label recordings and budget releases on labels such as Vocalion and Hilltop. Since Roy was recording during the era in which albums consisted of one or two hits singles, some covers of other artist’s hits, and some filler, the song titles should tell you whether or not a particular Roy Drusky album will be of interest to you. Please note that Roy’s recordings never went so far ‘uptown’ as to eliminate steel guitar and other country instrumentation. 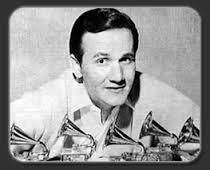 If you like Roy’s voice and the song selections, you will like his albums, especially the ones on Decca and Mercury. Roy was always adept with gospel music and his first Capitol album includes Peaceful Easy Feeling includes nice versions of “One Day At A Time” and “The Baptism of Jesse Taylor”. The rest of this album is secular music, a little more pop than his Mercury albums, the title track being a recent Eagles hit. Drusky is very poorly represented in the digital era. Currently only one collection is available: Greatest Hits Volumes 1 & 2. This is a straight reissue of two albums which catch his Mercury hits through 1967 and have a few remakes of earlier Decca hits. This disc was released in 2007 by Collectors Choice Music. In 1995, Polygram released a collection titled Roy Drusky: Songs of Love and Life. This CD is out of print but can be found with a little effort. It contains 13 songs, including the three later hits “Long, Long Texas Road,” “All My Hard Times” and “Jody and The Kid”–the latter is a nice early recording of a Kristofferson song. Only five of the songs overlap with Greatest Hits Volumes 1 & 2 so this disc is a worthwhile acquisition. There are some digital downloads available via Amazon.com plus a couple of albums described as CD-R (manufactured upon demand). Edward Thomas (Eddie) Rabbitt had a seventeen year run as a recording artist on the Billboard country charts with some success on the pop charts. He also enjoyed success as a songwriter, writing many of his own hits and supplying songs to other artists. Ultimately, 20 of his recordings reached #1 on either Billboard or Cashbox (usually both). Rabbitt was the son of Irish immigrants, born in Brooklyn, New York, but raised in nearby East Orange, New Jersey. His father was an oil refinery worker who played accordion and fiddle, and who performed Irish and country music in local venues. Surrounded by music, Rabbitt learned the guitar at an early age and by 12, he had become quite proficient. By his teen years, Rabbitt was extremely knowledgeable on Irish and country music; in fact, to the end of his life he regarded country music as an extension of Irish music, and often used minor chords to create an Irish feel. When Rabbitt was 16, his parents divorced. After the divorce he dropped out of school, hoping to make music his career. Later, however, he would take courses at night school and earn his diploma. Rabbitt was employed briefly as a mental hospital attendant during the late 1950s, performing music locally whenever possible. As a result of winning a local talent contest, he was given an hour of Saturday night radio show time to broadcast a live performance from a bar in Paterson, New Jersey. 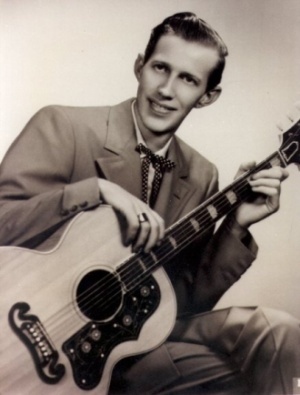 In 1964, Rabbitt signed his first record deal with 20th Century Records and released the singles “Next to the Note” and “Six Nights and Seven Days,” neither of which charted. In 1968, Rabbitt moved to Nashville where he began his career as a songwriter. According to legend, on his first night in Nashville, he wrote “Working My Way Up to the Bottom,” which Roy Drusky recorded as an album track for his In A New Dimension album. In order to survive, Rabbitt worked at miscellaneous odd jobs such as driving a truck and picking fruit. Eventually, he was hired as a staff writer for the Hill & Range Publishing Company and received a reported salary of $37.50 per week. The first blush of real success for Eddie Rabbitt occurred in 1969 when Elvis Presley recorded his song “Kentucky Rain.” The song charted #16 pop and #31 country for Elvis, selling over a million copies in the process. Rabbitt continued to write, with the next milestone occurring with a song idea that came to him while eating some breakfast cereal. Something about the lyric “…Milk and honey and Captain Krunch and you in the morning…” appealed to record producer Tom Collins, who was working for Charley Pride at the time. Collins saw Rabbitt perform the song live, and brought the song to Pride, who thought it would be perfect for Ronnie Milsap, at that time opening shows for Pride. “Pure Love” would hit #1 for Milsap in 1974, and lead to a contract offer from Elektra Records for Rabbitt later that year. His first single for Elektra, “You Get To Me,” hit #34 and the next two singles, both released in 1975, “Forgive And Forget” and “I Should Have Married You,” barely missed the top 10. These three songs, along with a recording of “Pure Love,” were included on Rabbitt’s self titled debut album in 1975. The next single, the very traditional “Drinkin’ My Baby (Off My Mind),” kicked off a long series of hits that included four songs that also charted among the top 10 pop songs “Drivin’ My Life Away,” “Step By Step,” “You And I”” (with Crystal Gayle), and “I Love A Rainy Night.” The latter song also topped Billboard’s pop and adult contemporary charts. As the seventies wore on, Eddie’s music began drifting away from traditional country music into the more pop-flavored sounds of the 80s, such as the three biggest pop hits cited above. After 1982’s “You And I,” his singles and albums were issued on the Warner Brothers label, the result of a label merger with Elektra. In late 1985, Eddie moved over to RCA, where his success continued unabated. Following the death of his infant son in 1985, Rabbitt put his career on hold, although RCA had some recordings to release, issuing four top ten singles. In 1986, a duet with Juice Newton, “Both To Each Other” soared to #1. Rabbitt returned to recording in 1988, scoring #1 records with “I Wanna Dance With You” and a remake of Dion Denucci’s 1961 pop hit “The Wanderer.” In 1990, he moved to Universal/Capitol, and with the leap came a return to a more traditional country sound; especially notable from this era is “On Second Thought,” his last #1 and my favorite of all of his recordings. Eddie Rabbitt would issue four albums on Capitol before exiting the label. In 1997, Rabbit was diagnosed with lung cancer. While seemingly on the rebound he issued his final album titled Against All Odds on the Intersound label. Sadly, it was not to be. Rabbitt passed away in May, 1998, at the age of 56. For his career, Eddie placed forty-three songs on the Billboard country charts (twenty-six top five entries), with fourteen of his songs placing on Billboard’s pop charts. Rabbitt was one of the phalanx of Nashville songwriters who entered into the realm of more introspective and contemplative material. He felt a personal responsibility as an entertainer to serve as a good role model and was an advocate for many charitable organizations including the Special Olympics, Easter Seals, Muscular Dystrophy Association and United Cerebral Palsy. Rabbitt was active in politics and gave permission to Senator Bob Dole to use his song “American Boy” during Dole’s presidential campaign in 1996. Eddie Rabbitt issued many vinyl albums. Since he was a big seller, most of his albums should be available online (or, perhaps, in your favorite used record store). The earlier albums (1970s) are more traditional sounding than their later (post 1978 counterparts), until you get to his output on Capitol. All of his albums contain interesting songs; the variable is the production and the way they are framed. Unfortunately, Eddie did not live long enough to recast his later Elektra/Warner Brothers recordings with more traditional settings, or perhaps as bluegrass. Currently, Rabbitt is woefully under-represented on CD, with only some Greatest Hits collections being available (mostly of the Elektra/Warner Brothers years, but also some Intersound remakes). During his lifetime, many of Rabbitt’s later recordings were released on cassette and CD, so used record shops may have copies of music from the RCA and Capitol years. None of the Capitol or RCA material is in print. The best available collection is the Rhino Platinum Collection which has twenty-two songs from the Elektra/Warner Brothers years of 1975-1980, including Eddie’s version of the rarely reissued “Pure Love”, which was a major hit for Ronnie Milsap. This collection is about half hits and half album tracks. Among the more significant omissions is “Step by Step”, Eddie’s second biggest pop hit. A few years ago, there was a better representation of Eddie Rabbitt material available on CD. Most of the following CDs are out of print, although it may be possible to find them in used record shops or from online dealers specializing in cutouts and used discs. Among the treasures worth searching for are the Warner Brothers albums Horizon (“I Love A Rainy Night” and “Drivin’ My Life Away”); Rocky Mountain Music (title song plus “Two Dollars In The Jukebox” and “Drinkin’ My Baby”); and 36 All-Time Greatest Hits. Formerly available from places like Costco, Sam’s Club and Collector’s Choice Music, the three-disk 36 All-Time Greatest Hits is misnamed as it has only about a dozen actual hits, with the rest being album cuts from the Electra/Warner Brothers years. Several double-packs of his Elektra/Warner Brothers albums also were issued in recent years. In 2009, Rhino released Eddie Rabbitt: Number One Hits, which contains the original versions of all of Eddie’s hits to chart at number one on Billboard. This is the album to get if you want only one Eddie Rabbitt CD. Unfortunately, it seems to have gone out of print, so if you see a copy, grab it. There have been a number of country singers named Anderson who have graced the genre. During the 1960s and 1970s “Whispering” Bill Anderson placed an impressive number of songs on the charts, both as a songwriter and as a performer. John Anderson graced the scene during the 1980s and 1990s, mostly as a performer. Concurrently Pete Anderson served as a musician, songwriter, producer and performer. What this group of Andersons has in common is that none of them are related to each other. Such is not the case with the subjects of this article. Liz Anderson and her daughter Lynn both had success on the country music charts and as live performers, although Lynn is one of the true superstars of the genre whereas Liz was basically a good journeyman performer. Liz, however, had enormous success as a songwriter. Liz’s husband (and Lynn’s father), Casey Anderson, also was involved in music, working mostly behind the scenes. Born in 1930 in Roseau, Minnesota, but raised in Grand Forks, North Dakota, Liz married Casey Anderson in 1946 after Casey’s return from military service. The following year their daughter Lynn was born. Eventually the family moved to California where our story begins. Liz was a relatively late entrant to the music business, not really getting her career in high gear until the early 1960s when she started traveling to Nashville. During this period Liz recorded demos and wrote many songs. Things started rolling in 1961 when Del Reeves recorded “Be Quiet Mind” and reached fifth gear in 1964 when Roy Drusky recorded “Pick of the Week”. In 1965, Merle Haggard recorded her song “All My Friends Are Gonna Be Strangers”, which was to be his first top ten hit, reaching #7 (Roy Drusky also recorded the song – his version reached #6). Liz won a BMI award for this song. Also during 1965, Chet Atkins signed Liz to a recording deal with RCA. Liz’s first two singles, “Go Now , Pay Later” (#23) and “So Much For Me, So Much For You” (#45) both charted and her third single, “Game of Triangles”, with label-mates Bobby Bare and Norma Jean, became a Top 5 hit. Her next solo release, “The Wife of the Party reached #22 and then in April 1967, Anderson again had a Top 5 Country hit with “Mama Spank”. This was to be Liz’s last top twenty recording, although she continued to chart for a few more years, switching to Epic in 1971. Among Anderson’s other popular recordings were “Tiny Tears” (#24 -1967), “Thanks A Lot For Tryin’ Anyway” (#40 – 1968), her duet with daughter Lynn, “Mother May I (#21 -1968) and “Husband Hunting” (#26 -1970). Although she would never say so, I believe that Liz’s fall from the top of the charts can be explained in two words: Lynn Anderson. It appears that, starting in 1966, Liz was funneling her best material to her daughter Lynn. Eight of the songs on Lynn’s first album, Ride Ride Ride, were written by Liz (one a co-write with Casey) including three of the four charting singles. Liz also wrote four of the songs on Lynn’s second album, Promises, Promises and five of the songs on Lynn’s third album, Big Girls Don’t Cry. LYNN ANDERSON is, of course the better known of this pair. Lynn reached superstar status during the late 1960s and early 1970s. For the decade of the 1970s, Lynn ranks fourth among female singers, behind Dolly Parton, Loretta Lynn and Tammy Wynette. Lynn was born in 1947, making her mother Liz just over 17 years old when Lynn was born. Although born in Grand Forks, North Dakota, Casey & Liz moved to California while Lynn was still small. Lynn first became interested in singing around the age of six, but her first Anderson became interested in singing at the young age of six, but she had her first success equestrian activities winning many trophies in and around California including becoming the California Horse Show Queen in 1966. Lynn remains active in equestrian pursuits to this very day, having achieved great success as a rider and breeder. Being the daughter of two songwriters, Lynn took naturally to performing, landing roles on local television programs, singing background harmony on her mother’s demo recordings and working at KROY Radio in Sacramento. On one of her mother’s trips to Nashville, Lynn traveled with her to Nashville and was allowed to participate in an informal hotel room sing-a-long with various country singers such as Freddie Hart and Merle Haggard, among others. It is reported that Slim Williamson, owner of Chart Records, was present at the informal jam session and invited Lynn to record for Chart, which she did from 1966-1969. While signed to Chart, Lynn came to the attention of Lawrence Welk, who signed her for the 1967-1968 season. While with Welk, Lynn appeared on the television show and toured with the show’s touring company. During 1968, Lynn married Glenn Sutton, a noteworthy songwriter who wrote David Houston’s mega-hit “Almost Persuaded”. Many people are under the impression that the Lynn Anderson story begins with her million selling hit “Rose Garden” and her Glen Sutton-produced recordings on Columbia. That impression is quite mistaken in that by the time Lynn signed with Columbia in 1970, she had already recorded thirteen charting records, four of which were top ten records with “Promises, Promises” reaching #1 on Record World (#4 Billboard) and “That’s A No No” reaching #1 on Cash Box (#2 Billboard) and another five records reaching the top twenty, not bad for an artist signed to a minor label. During the Chart years, much of Lynn’s material was penned by Liz Anderson. Even after the switch to Columbia, one or two of Liz’s compositions appeared on each of Lynn’s albums except Rose Garden, until near the end of her tenure with Columbia . Although Liz and Lynn were signed to different labels, in 1967 and 1968 Chart had some sort of manufacturing and distribution deal with Chart that enabled the mother-daughter duets. Lynn’s first single for Columbia was the lively “Stay There Til I Get There” which reached #7, despite Chart issuing a competing single, a cover of Hank Snow’s “I’ve Been Everywhere” that reached #16. Her next single “No Love At All” only reached #15 (it would be a pop hit for BJ Thomas the following year) as it was sandwiched by two more Chart releases “Rocky Top” and “I’m Alright” both of which hit the top twenty. During this period Chart would add trumpets and strings to existing Lynn Anderson tracks before issuing then as singles, apparently to make them sound more like her current Columbia output. Finally in late 1970, “Rose Garden” was released. A somewhat unusual choice for a single as it seemed to be (1) told from a masculine perspective and (2) was penned by pop/rock songwriter Joe South, this single made it clear to the public which label was providing the current Lynn Anderson as it soared to #1 for five weeks, reaching #4 on the pop charts and selling over a million copies in the process. The record also went to #1 in Canada, Norway, Australia, New Zealand, Japan and Switzerland, reached #3 in England and went top ten in a number of other countries. Lynn’s follow up to “Rose Garden” was “You’re My Man” penned by husband Glen Sutton which spent two weeks at #1. While Chart continued to release old material as singles throughout 1971, the only Chart release to reach the top twenty was Lynn’s cover of “It Wasn’t God Who Made Honky Tonk Angels”. As for the Columbia releases, from “Rose Garden” until the end of 1974, Lynn had an terrific run of success as twelve of thirteen singles made the top ten with five Billboard #1s (“Rose Garden”, “You’re My Man”, “How Can I Unlove You”, “Keep Me In Mind” and “What a Man My Man Is”) plus a Cashbox #1 (“Top of The World) and a Record World #1 (“Cry”). Along the way ten of Lynn’s songs crossed over onto the pop charts. She won a Grammy in 1971 for “Rose Garden” and was the CMA’s Female Vocalist of the Year for 1971. After 1975, Lynn continued to record, but she really didn’t fit the outlaw movement that came into vogue during the second half of the 1970s (although she was undoubtedly more comfortable on a horse than any of the outlaws). Consequently the really big hits tailed off although there were still nine top twenty hits to follow with her 1979 hit “Isn’t It Always Love” reaching #10 and her late 1983 duet with Gary Morris “You’re Welcome To Tonight” reaching #9. Her marriage to Glenn Sutton came undone in 1977. Her tenure at Columbia ended in 1980 and she did not chart during 1981 and 1982. In 1983 she emerged on Permian Records and later recorded for Mercury (also, there was a duet with Ed Bruce on RCA). After falling off the charts in 1989, Lynn continued in equestrian activities where she has one 16 national and eight world titles. Never fully retired from recording or performing music, Lynn issued a bluegrass album in 2004. Since 2006 she has been involved in recording for her mother’s Showboat label. As always, all vinyl is out of print. Liz recorded eight albums for RCA, plus an album on the Tudor label released in 1983. Liz’s RCA albums all feature songs that she wrote alone or with Casey as co-writer. I assume that the Tudor album My Last Rose contains some of her compositions, but I cannot be certain of this. Liz also recorded four singles for Epic, all of which charted, none of which made the top fifty. The most interesting of these was the single “Astrology”. Unfortunately, Epic never collected these onto an album. Unfortunately, none of Liz’s vinyl output has made it onto CD. Liz does have her own record label Showboat Records and has issued several CDs of relatively new material. Liz and Casey can be heard on the Sons of the Guns CD and on the CD titled The Cowgirl Way . Liz also has available a couple of holiday CDs. Liz Anderson was hospitalized October 27, 2011, due to complications from heart and lung disease. No other information currently is available. Lynn had a very prolific career during the vinyl era. Chart issued 13 albums of which three albums were compilations. Her Chart career contains a lot less of the ‘country cocktail’ that characterized her Columbia recordings and more straight-ahead country. My favorite Lynn Anderson recordings come from this period. All of the Chart Albums are worthwhile, and all feature songs written by her mother. Look for Songs My Mother Wrote which features Lynn singing her mother’s most famous songs. Columbia released twenty studio albums on Lynn Anderson. Additionally, a Christmas album and several compilation albums were released. Greatest Hits contains most of the biggest hits; Greatest Hits Volume 2 is mostly lesser hits documenting Lynn’s slide down the charts. As far as the various albums go, if you like the ‘country cocktail’ production, you’ll like all of Lynn’s Columbia albums. Lynn was always adventurous in her choice of material, sampling material from various genres of music in order to avoid becoming stale. After leaving Columbia, Lynn issued two more vinyl albums: 1983’s Back on the Permian label and the 1988 effort What She Does Best on Mercury. The Permian album contains Lynn’s last top ten hit “You’re Welcome To Tonight” and the Mercury album contains her last top twenty-five single, a remake of the Drifters classic “Under The Boardwalk” . Both albums vary considerably from the sound of her Columbia albums. Currently there are several Lynn Anderson CDs available. Collectors Choice Music has issued Greatest Hits which gathers eight of her Chart label hits with sixteen of her Columbia hits – this is the best currently available collection. The Columbia/Legacy 16 Biggest Hits has two of the Chart hits along with fourteen Columbia hits. Her 2004 project The Bluegrass Sessions is still in print and finds Lynn in good voice as she recasts her biggest hits as bluegrass. Collectibles has reissued two of Lynn’s Columbia albums on one CD – the albums Rose Garden/You’re My Man were the two biggest albums of her career. Although now out of print, you may be able to find the two outstanding collections issued by the now defunct Renaissance label – Anthology – The Chart Years and Anthology – The Columbia Years. There is also available a Lynn Anderson – Live At Billy Bob’ Texas which showcases Lynn in a live setting. Plus, there are two albums of western music recorded for her mother’s label , Cowgirl and Cowgirl 2. You may be able to find some other CDs of Lynn’s recordings. Beware of the off-labels (Dominion, Delta, Country Stars, etc) as these will normally feature remakes of the earlier hit recordings. The Ernest Tubb Record Shop has a listing for a CD released on 9/26/11 by TBird titled Rose Garden – Country Hits 1970-1979. This import contains twenty-one songs and appears to be original Columbia recordings. There is a small group of performers, without whom it is impossible to imagine what country music would be like. Near the very top of this list is Merle Haggard, one of country music’s most talented and prolific singer/songwriters, and whose tremendous impact on the genre is indisputable. He was born in Oildale, California on April 6, 1937, to parents who had migrated from Oklahoma during the Great Depression. His father Jim, who worked as a carpenter for the Santa Fe Railroad, died from a stroke in 1946. This traumatic and devastating event set nine-year-old Merle on the path of juvenile delinquency. He spent the next few years in and out of reform schools. At age 20, he was arrested for the attempted burglary of a tavern in Bakersfield, and was sentenced to one to fifteen years in the state penitentiary at San Quentin. A few years before his burglary conviction, when he was 14 years old, Merle had the opportunity to attend a Lefty Frizzell concert, which helped to spark his interest in a career in music. Despite his tender age, Merle had already begun performing in local bars. During his incarceration at San Quentin, he was encouraged to pursue a music career by a fellow inmate nicknamed Rabbit. Rabbit escaped from the prison and was later returned and executed for killing police officer. This was one of the events that helped young Haggard to turn his life around. It was also the inspiration for his 1968 hit, “Sing Me Back Home”. Haggard was released from San Quentin in 1960. He returned to Bakersfield and worked a variety of manual labor jobs while pursuing his musical dreams. He eventually got a gig playing at a Las Vegas club owned by Wynn Stewart, where he caught the attention of producer Fuzzy Owen, who signed Merle to his independent label, Tally Records. His first release was the modestly successful “Skid Row”, which was followed by a cover of Wynn Stewart’s “Sing A Sad Song”, which reached #19 in 1963. In 1965, he scored his first major hit with the Liz Anderson composition “(My Friends Are Gonna Be) Strangers”, which became his first Top 10 record, despite a competing version by Roy Drusky which was on the charts at the same time. In addition to providing Merle with a name for his road band, it also led to a contract with Capitol Records, which would be his label home for the next 13 years. Haggard’s best known song came in 1969. “Okie From Muskogee” was apparently intended as a joke, but struck a chord with those were fed up with the turbulence and protests of the sixties. Along with the follow-up release, the more combative “The Fightin’ Side of Me”, “Okie” established Haggard as a conservative icon. This image was further solidified with later records such as “Are The Good Times Really Over” and “Me and Crippled Soldiers”, a tune about flag burning which led to Merle’s split with Epic Records in 1989. In 1972 he received an unconditional pardon from California Governor Ronald Reagan. Ironically, in recent years Merle’s politics seem to have shifted considerably to the left, as he became an outspoken critic of the Iraq War and endorsed Hillary Rodham Clinton for president in 2008. Merle Haggard was named Entertainer of the Year by both the Country Music Association and the Academy of Country Music in 1970. He has won 13 ACM awards, five CMA awards, and three Grammys, and was inducted into the Country Music Hall of Fame in 1994. He has also scored 38 #1 hits, a feat surpassed only by Conway Twitty and George Strait. Although his commercial success began to decline dramatically beginning in the late 1980s, he has never stopped making music and remains an important and respected artist today. His latest album, Working in Tennessee, will be released on October 4th. We hope you will enjoy our spotlight coverage of the career of this iconic and sometimes controversial figure.